$75 - $125 per hours, plus mileage over 30 miles. 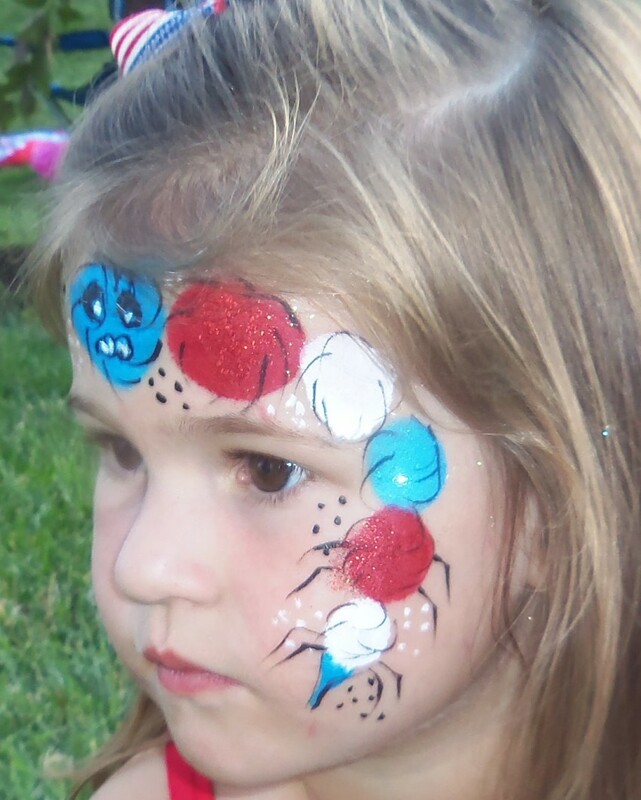 Professional Face Painter, Temporary Tattoo and Glitter Tattoo artist using FDA approved products for your safety. Great for parties, festivals, community events, family fun days, weddings or to enhance traffic at your business or booth space. Ask me about my special neon black light parties for something extra special. I'll travel anywhere in Indiana within 75 miles. Travel fees may be charged for locations over 30 miles. I was so very happy with Funny Faces of Indy. Early, Prepared, Sweet, and Patient are just a few one word descriptions. The kids loved her work. The adults loved her work! I was the bride and I got a glitter tattoo too! I highly recommend having Funny Faces of Indy come and add some entertainment to your event. I definitely would have her again! Thanks Amber, the children adopted me. They were very well behaved and even helped me take my equipment to the car. What a beautiful wedding. She is very professional. She uses only the proper face painting paint. The kids all loved her and she was very patient with them. Thanks Karen! Proud to be a part of your entertainment events. Face paint with Mrs. Kathy was a hit!!! More than just a face painter. Kathy was a perfect fit for our family environment and perfect addition to the birthday party. Money well spent! Kids loved the face painting!!! Great attitude and very professional and fun! What a fun filled party. It was a pleasure to delight your guests with my face painting and I was pleased that the glitter tattoos were a hit. We loved working with Kathy! She was easy to work with and schedule, and she showed up early with everything we needed! Also, her designs were great and the kids loved it! Would definitely recommend Funny Faces of Indy to anyone! I was more than happy to accommodate your needs. PLS was an awesome company with great employees. Funny Faces...Helped make my daughter's party spectacular! 13 year old girl/boy birthday party and the kids couldn't of been happier with the tattoos that Funny Faces provided! she was sensational! Friendly, fun, and tattoos were fabulous! I even got 2 jewelry tattoos! We could not of asked for a better person! We'll definitely use her again! What a great bunch of kids. They were so excited about the jewelry and glitter tattoos that I only painted two peoples faces that night. This was the best teen party I've ever seen. I'm so glad they enjoyed having me. Price Range: $75 - $125 per hours, plus mileage over 30 miles. 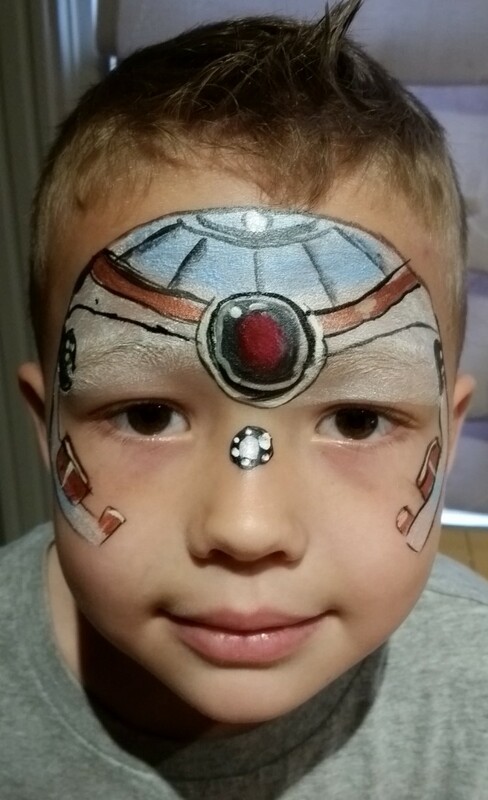 Your entertainment dollar will be well spent as children will be excited to see their favorite things painted on their faces. They will go away smiling and asking you to hire me for their next party. All products used are FDA approved and safe. This is a great activity for the children to watch, as well. It frees up the adults to do their own thing while children are mesmerized while seeing each other painted. Please call early to set the date and don't miss out on this unique entertainment event for adults and children. 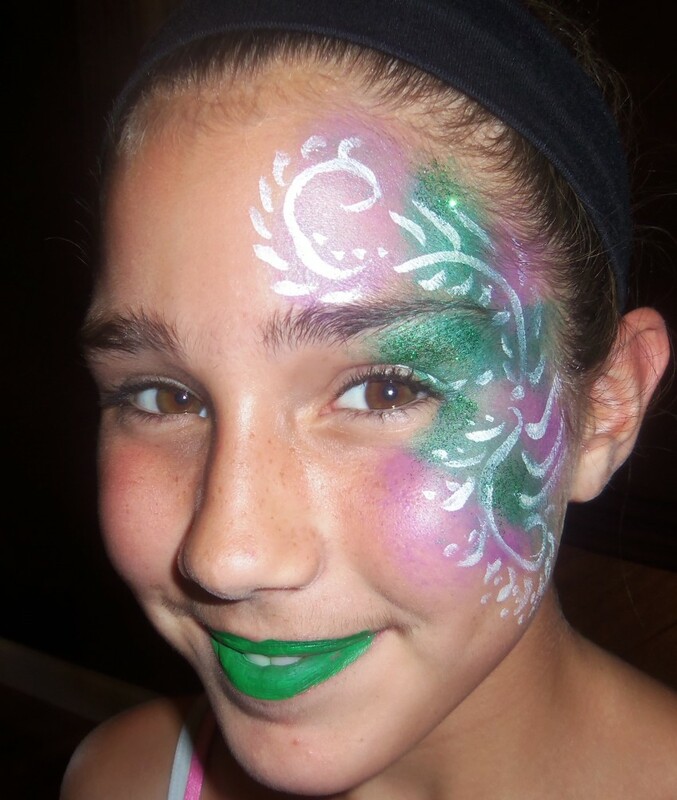 Experienced professional face painter for nine years. My work is top notch and enjoyed by many repeat customers in Indiana. Children love me as I am also a Grandmother to five loving children. I will comply with any reasonable request to make your event a success. I also do Glitter Tattoos and Neon Black Light parties to enhance any event. 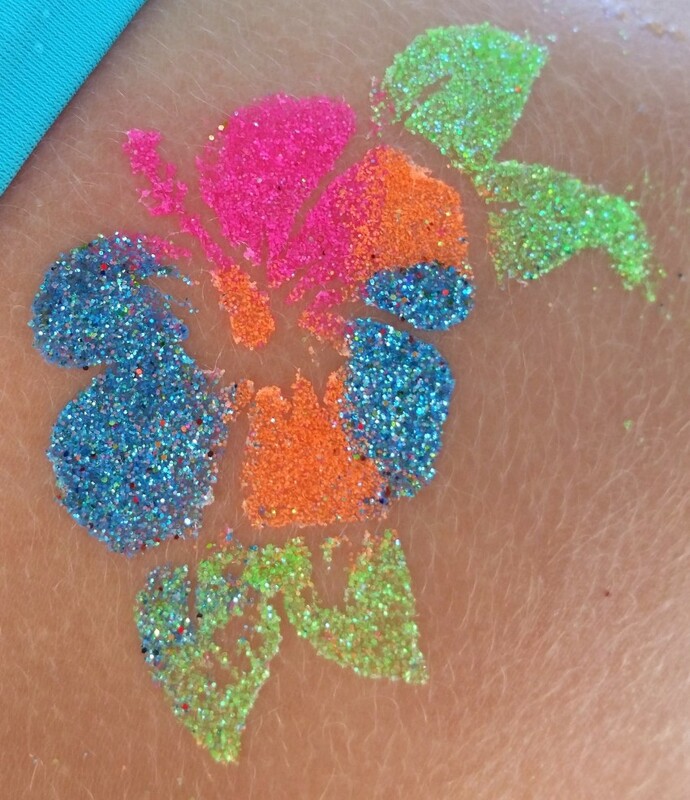 If it's a pool party or a rainy day, I recommend Glitter Tattoos. They won't wash off in the water and disappoint the adults and children. Please, never let anyone paint a child's face with craft paint. This can cause rash, swelling or even scaring on their faces. 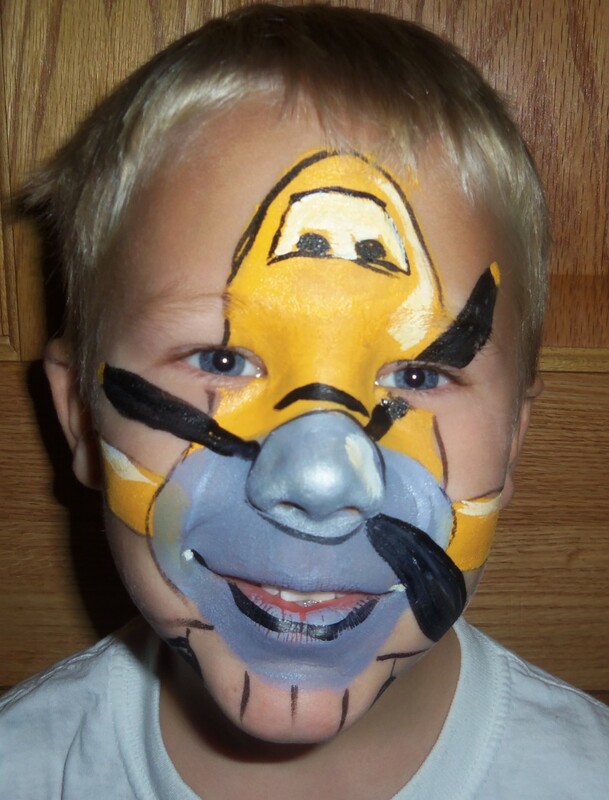 Only FDA approved professional face paint should be used. Only a table and 2 chairs are needed. I can provide these if needed, upon request.